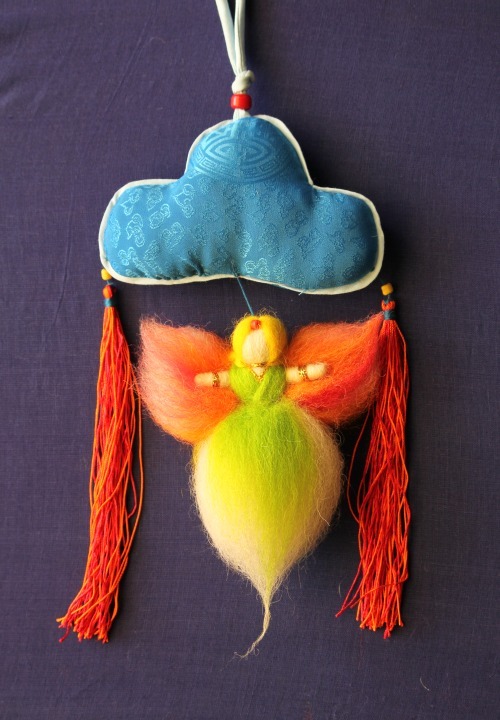 A pastel coloured Angel hangs below a satin blue Tibetan cloud, bringing a warm Tibetan flavour into a child’s environment. Clouds commonly appear in traditional Tibetan decorative arts and symbolize the elements of air and wind. Angels are made from 100% sheep’s wool. Materials include both cotton and synthetics.